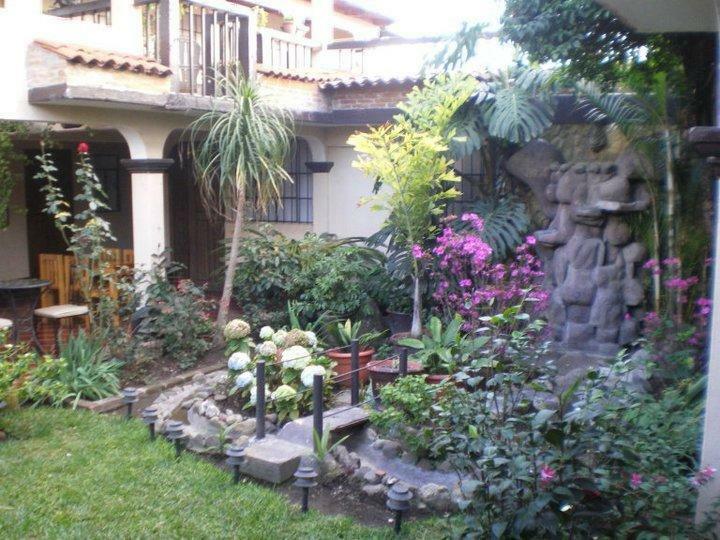 ﻿ Best Price on Hotel Las Camelias Inn by AHS in Antigua Guatemala + Reviews! Offering a garden, Colonial-style décor and stunning views of the Agua and Fuego Volcanos, Hotel Las Camelias Inn is located 1148 feet from Antigua main square and from the Cathedral. The rooms come with hand-carved wooden furniture, a wardrobe, a fan and cable TV. The bathrooms are private and include free toiletries. Guests can request breakfast at an extra cost and they can also find a variety of restaurants offering local food 4 minutes’ walk away. This property offers a large terrace with panoramic views of Antigua and the surrounding volcanoes, massage service, vending machines, laundry service and a tour desk. The garden features a flowing river fountain and mini-bridge. Hotel Las Camelias Inn is 246 feet from the Santo Domingo Cultural Center and 656 feet from the Chocomuseo. The Colonial Art Museum is 5 minutes’ walk away and La Aurora International Airport is a 50-minute drive away. When reserving 3 nights you get a free 1 day pool pass per person, if you reserve 5 or more nights you get 2 (two) 1 day pool passes per person. The free pool pass is only valid if someone reserves nights in, April, May, June, August, September and October. Please note a 6% fee will be charged when paying with credit card. Please inform Hotel Las Camelias Inn by AHS of your expected arrival time in advance. You can use the Special Requests box when booking, or contact the property directly using the contact details in your confirmation. In the event of an early departure, the property will charge you the full amount for your stay. Parking is subject to availability due to limited spaces. Guests are required to show a photo ID and credit card upon check-in. Please note that all Special Requests are subject to availability and additional charges may apply.